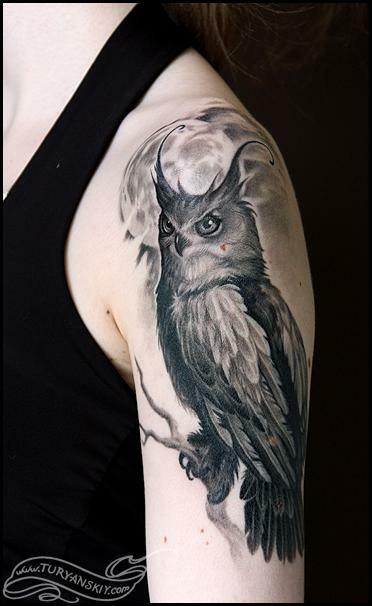 Healed black and gray owl which going to be continued to a night forest themed sleeve. Took me about 8 hours to complete. 2012.